ستُذهل من تهنئة عيد الاضحى بالانجليزي مترجمة والتي وضعناها لك هُنا، وستكون مميّز أمام الجميع عند مشاركة إحدى تهنئة عيد الاضحى بالانجليزي هذه لأنها جديدة كُلياً وبشكل اسلامي مُناسب لك ولمن حولك من الأهل والأصدقاء، هنا نضع لك تهنئة عيد الاضحى بالانجليزي مترجمة وبأشكال جميلة جداً ومنسّقة، فلعيد الاضحى آداب وسنن يجب التحلي بها عند قدوم الاعياد ومن تلك الآداب، معايدة و تبادل الزيارات مع الاهل و الاقرباء، وقد يبحث البعض عن عبارات تهنئة بالانجليزي لكي يقوم بتهنئة الحبيب او الزوج او الاصدقاء لهذا نضعها لك الان قم بإختيار ما يعجبك فبالتأكيد ستحصل على ذالك، كن متميزاً وارتقي بهذه التهاني لعيد الاضحى بالانجليزية. بالتأكيد ستكون مميّز بأجمل تهنئة عيد الاضحى بالانجليزي مترجمة والتي وضعناها لك هُنا، شارك من حولك مثل الأصدقاء والأحباء والأهل تهاني العيد باللغه الانجليزية الآن فهي جديدة كلياً. الله يبارك لك في هذا اليوم المبارك وفي جميع الايام، عيد اضحى مبارك. May the divine blessings of Allah bring you hope faith and joy on Eid-Ul-Adha and forever. Happy Eid Ul Adha. فلتكن بركات الله تعالى لك الأمل بالإيمان والفرح في عيد الأضحى وإلى الأبد، عيد اضحى سعيد. 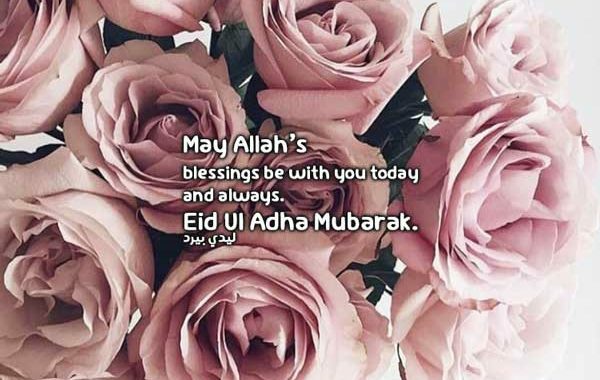 My wish for you on this Eid, My peace and joy embrace your life, And stay on this blessed day and always, Eid ul Aldha Mubarak. امنيتي لك في عيد الاضحى الفرحة والسلامة في حياتك، وبقاء ايامك مباركة مثل هذا اليوم المبارك، عيد اضحى مبارك. On the Holy occasion of Eid ul Adha that celebrates the Hajj, may you be filled with happiness and may every step of your journey through life be blessed by Allah. Eid Mubarak. في هذه المناسبة العظيمة لعيد الأضحى التي فيها الحج واحتفاله، اتمنى لك السعادة وكل خطوة تخطوها في حياتك تكون مباركه بإذن الله، عيد مبارك. I wish you all a very happy and peaceful Eid, May Allah accept your good deeds, Forgive your transgressions and ease, The suffering of all peoples around the globe, Eid Mubarak. أتمنى لكم عيداً سعيداً مطمئناً، تقبل الله لكم صالح الاعمال، وغفر غطاياكم، وأزال جميع معاناه الشعوب في هذا العالم، عيد مبارك. هنا ايضاً وضعنا لك رسائل تهنئة عيد الاضحى بالانجليزي مترجمة ، قدمناها لك بشكل جديد كلياً شارك ما تُحب مع من تُحب على رسائل الجوال او على الواتس اب الخاص بمن تريد. On Eid Ul Adha, wishing that your sacrifices are appreciated and your prayers are answered by the almighty. Have a blessed Eid ul Adha. في عيد الأضحى، أتمنى أن يقبل الله تعالى ضحيتكم وصلاتكم. وأتمنى لك ايضاً عيد الأضحى مبارك. It’s a day of rejoice and bliss, It’s a day of blessing and peace, It’s a day to reflect and ponder, It’s a day to celebrate together. Eid Mubarak. إليوم يوم فرح ونعيم، إنه يوم نعمة وسلام، إنه يوم التفكير والتأمل، إنه يوم للاحتفال معًا. عيد مبارك. ارسل لك تهاني دافئة وجميله في هذا العيد المبارك، لا تنساني في دعائك. 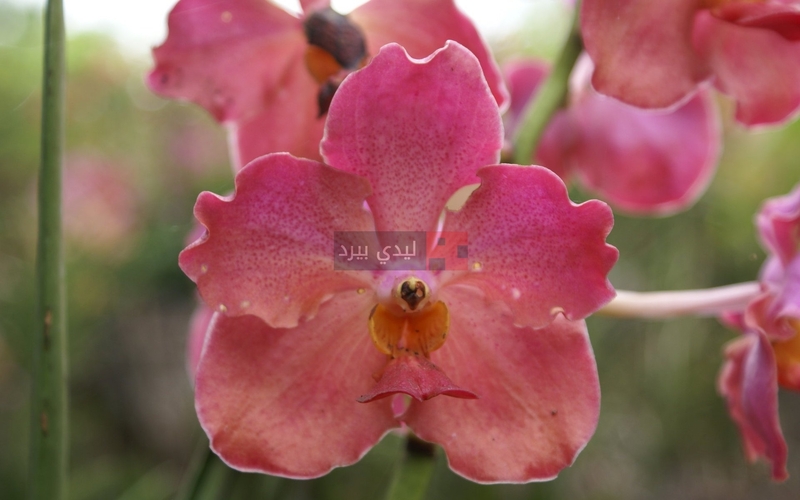 Happy Eid Al Adha Mobarak to everyone who celebrates this auspicious occasion. for the world. MayGod Bless Us All. Aameen. عيد اضحى سعيد لكل من يحتفل بهذه المناسبة الجميلة عيد اضحى سعيد لكل العالم. الله يبارك فينا وفيكم جميعاً، آمين. Eid-ul-Adha Is an Eid Of Secrifice; And Commitment Of Allah’s Order May Allah Bless Us With The Same In All Circles Of Life. Eid Adha Mobarak. عيد الأضحى هو عيد لتقديم الاضحية، إلتزاماً لما امرنا الله تعالى. عيد اضحى مبارك. Today is Eid Al Adha. Eid Mobarak to all. May Allah accept our deeds and prayers and grant us Jannah. اليوم هو عيد الاضحى، عيد مبارك لكم جميعاً، اتمنى من الله قبول اضاحينا وصلاتنا ودعائنا ويكتب لنا الجنة. ستكون مميّز جداً أمام الجميع لأنك ستختار من هُنا عبارات تهنئة عيد الاضحى بالانجليزي ، قم بالإختيار وشاركها مع من تريد او قم بمشاركتها للجميع كبوست على الفيس بوك أو تغريده على تويتر. Greetings to all friends celebrating Adha Eid and all muslims. Eidkum mobarak. Eid Adha Mobarak to you and your family. May all your days be full of peace and blessings. The winner is someone who always give the best in his life. Qurban mobarak, Eid el adha mobarak. May Allah flood your life with happiness on this occasion, Your heart with love, The soul with spiritual, Your mind with wisdom. Wishing you a very Happy Eid MUBARAK. May Allah Bless All Of Us With His Peace And May He Watch Over Those Less Fortunate, Those Who Suffer And Are In Pain Or Distress And May He Bring Comfort to Those Who Mourn And To All My Muslim Brothers And Sisters Around The World, A Very Happy Eid. May the angels protect you sadness forget you may goodness surround you and may Allah always bless you Eid Mubarak. Something in your smile speak to me Something in your voice sings to me Some thing in your eyes says to me that you are the dearest friend to me. Eid Adha Mubarak. become a part of your Eid and Your Life. Have a Happy Eid Mubarak. هنا كلمات تهنئة عيد الاضحى بالانجليزي لتُناسب أي شخص ك الحبيب الخاص بك أو الحبيبة وللمتزوجين والمخطوبين، يُمكنك اختيار تهنئة بمناسبة قرب حلول عيد الاضحى وشاركها الان. After congregational Eid prayer, Sentiment reciprocated with deep sense of gratitude and manifestation, Very very happy Eid. Wishing you a Very Very HAPPY EID MUBARIK With love And Best Wishes. May This Eid Day Brings LOT of Happiness And JOYS in your LIFE. May you Live Long lifw And That EID day Will comes in your life Hundred TimesRemember me in your prayers. May Allah bless you on this auspicious day of Eid and May it be a new beginning of greater prosperity success and happiness. Wish you a Happy Eid Adha MUBARAK. Troubles as light as Air, love as deep as Ocean, Friends as Solid as Diamonds, and Success as bright as Gold These are the wishes for you and your family on the eve of Eid. Happy Eid Mubarak. May this year Eid gives, You all the happiness and, Joy of this world and, Hope that the blessing, Of the AL-Mighty be with you. EID MUBARAK. May the day delight, And the moments measure all the special joys, For all of you to treasure, May the year ahead, Be fruitful too, For your home and family, And specially for you, Eid Adha Mubarak. May the magic of this EID bring lots of happiness in your life & may You celebrate it with all your close friends & May it fill your HEART with love. Here comes the day, once in a blue moon. With chanda mama shining up bright And blessing everyone Its love so tender, merciful. Shining down on the earth wishing us Happy Adha Eid. هذه ايضاً رسائل تهنئة عيد الاضحى بالانجليزي مليئة بالحب والثناء لأي شخص في حياتك شارك اليوم أجمل تهنئة عيد الاضحى بالانجليزية مع من تُريد او مع من تُحب. Hope Love & Laughter, warmth & wishes joy and a Bouquet of Eid Wishes, Especially for you!!! Happy Eid Mubarak. Wishing you good times Wishing you good fortune Sending pleasant surprises your way Wishing you shining days ahead Wishing you smiling and joyful days ahead. EID ADHA MUBARAK. Eid Spreads the message of Brotherhood and Togetherness. May Allah Bless you and bring happiness in Life. Eid wishes to you & your Family. I wish a wish for you The wish i wish for few. The wish i wish for you is that your all wishes come true so keep on wishing as my all wishes are with you. Eid Adha Mubarak. Together with friends Full of warmth and fun Here’s wishing your Eid celebration Is truly a special one. Eid Adha Mubarak. Eid-ul-Azha Mubarak, May Allah shower countless blessings upon You and Your Family. Keep me in your prayers. May the Blessing of ALLAH Fill your life with happiness and open all doors of success now and always. EID MUBARAK.